Plantar warts are one of the many types of warts that can affect anyone from babies to children and adults. 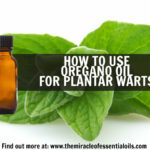 Find out how to use essential oils for plantar warts for a natural yet effective treatment. When you first find yourself with a wart on the soles of your feet or hands, you might be wondering WHAT it is. 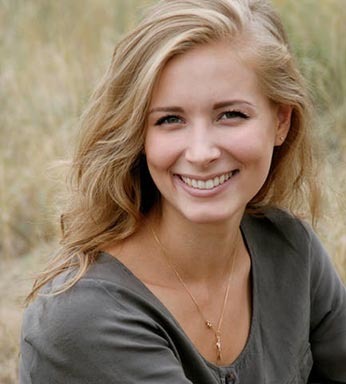 Warts are hard, painful to touch, growth formations on that occur anywhere on your skin. Plantar warts, in specific, are hard growths that are caused by an infection by the HPV (human papilloma virus). The virus usually enters the foot through tiny abrasions or cracks and begins the infection, especially if your immune system is weak. Plantar warts can spread from person to person so immediate treatment is very important. Furthermore, if since plantar warts are caused by viruses, if you get a plantar wart once, chances are you’ll get it again. Having a strong immune system is necessary for robust health. 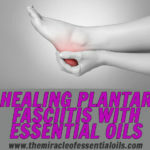 How Do Essential Oils Help with Plantar Warts? There are several powerful essential oils that you can use to get rid of plantar warts naturally. Antiviral – Essential oils contain antiviral properties, among anti-bacterial, anti-microbial and anti-fungal properties, which are perfect for fighting and killing the virus that causes plantar warts. Anti-inflammatory -The infection can cause the wart to swell and become inflamed and this can hamper wearing shoes or even walking properly. 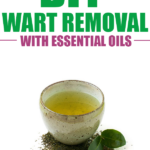 Essential oils can greatly reduce inflammation and shrink the size of the wart. Analgesic – Plantar warts can be extremely painful, especially when pressure is applied. 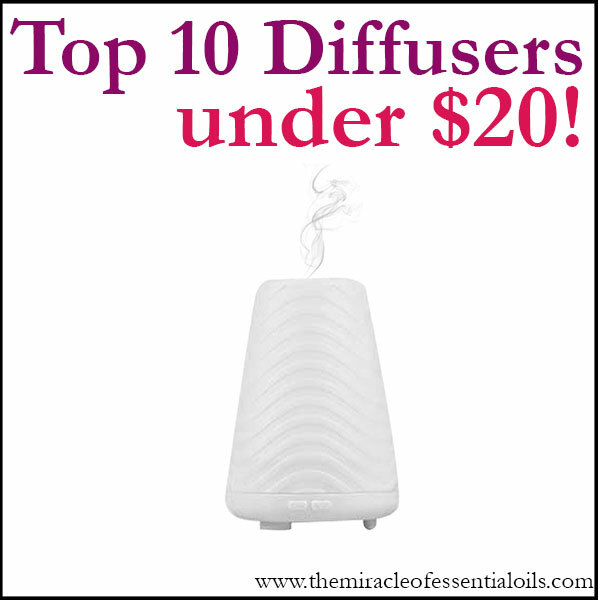 The analgesic or pain killing properties of essential oils can help manage the pain created by the infection. 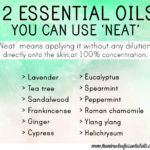 Apply Neat – The easiest way to get rid of plantar warts is by applying essential oils neat right onto the wart. Use a q-tip and apply 1 – 2 drops of, tea tree oil for example, directly on the wart. 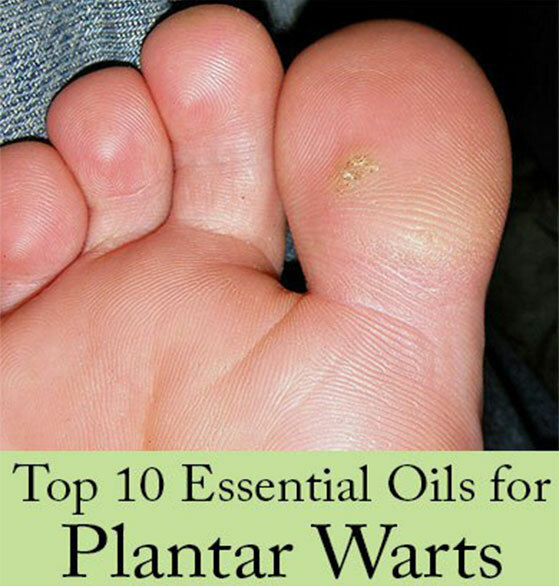 Potent Plantar Blend – Make a potent plantar blend to exterminate the wart. You’ll need to mix 5 drops of oregano, 7 drops of lemon, 5 drops of frankincense and 5 drops of lavender. 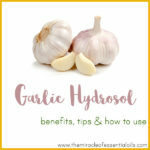 Keep this in a small amber bottle and apply 2 drops to the wart 2 – 3 times a day. Plantar Paste – Make a potent plantar paste by mixing 1 teaspoon of bentonite clay, 1/2 teaspoon of apple cider vinegar, 2 drops of oregano and 2 drops of frankincense. Apply this thick paste onto the plantar wart and secure with a tape. Leave overnight and clean off the next morning. Repeat for 2 more nights if needed. 1. Wash your feet – Begin by washing your feet to get rid of any dirt, grime, sweat or other impurities. 2. Exfoliate the wart – Use a pumice stone to exfoliate the wart. This will get rid of the hard excess skin that is covering the wart. Once the wart is exfoliated, the treatments that we apply on them will penetrate easily. 3. Apply the treatment – Treat your plantar wart with any of the treatments provided above. 4. Keep the wart completely sealed – Oxygen feeds the infection so keep the ward sealed with a tape while the treatments applied work their magic. This will deprive the wart of air and heal it faster. 5. Be consistent – It may take more than 3 days to get rid of your wart. Do not be disheartened. 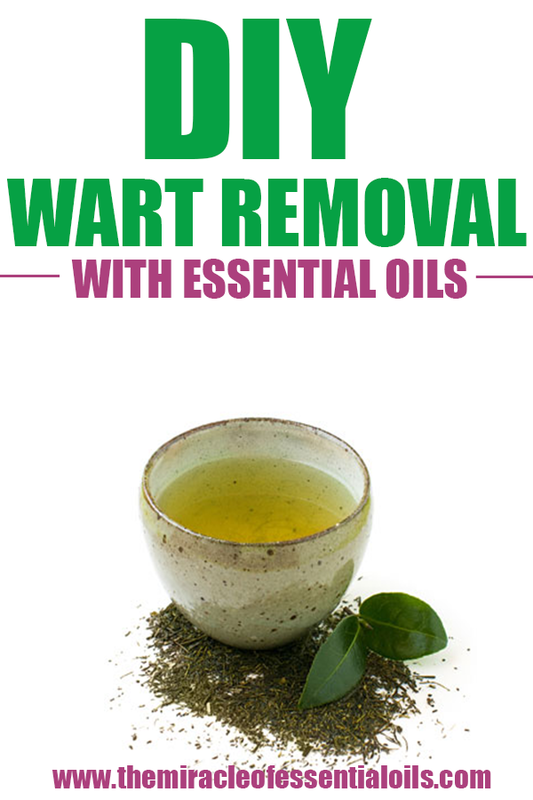 Keep applying these natural remedies and you can get rid of the wart completely in due time. 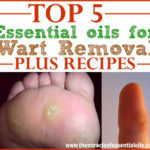 What are your favorite essential oils for plantar warts? Share in the comments below!